It looks no different from the regular electricity meter, but its innovative version is changing the way people use electricity and pay for it. 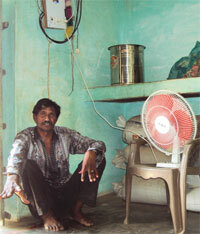 Neechli Babhan, a small village in Rajasthan’s Pali district, has a smart meter installed in 80 of its 150 houses. The smart meter forces people to use electricity diligently. He spoke to Dickinson about it. The two started thinking how the situation could be improved. Massive penetration of mobile phones in remote parts of the country gave them the cue. They completed their course, came to Jaipur and started a company which they named Gram Power. After months of research, smart meter was born. 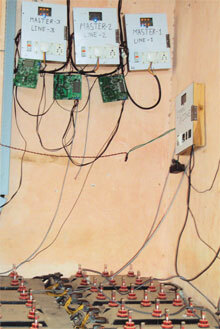 In 2012, Gram Power installed smart microgrids in four villages in Rajasthan. It employed people like Udai Singh who recharge smart meters and get 10 per cent commission on each recharge. Gram Power holds intellectual property rights on the meter. 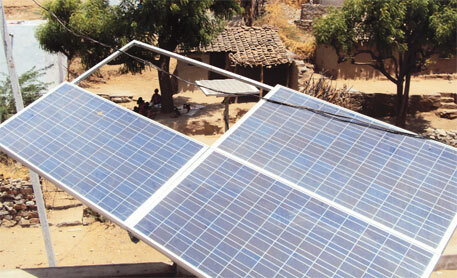 Now the company plans to install it in 21 more villages in the state. Good sign of solar energy utilisation through micro grid. Wow! That was pretty impressive to read that four Rajasthan Villages are provided with innovative prepaid meters which would detect theft. The working method was really impressive and I look forward to reading more updated news on this topic. Keep posting.